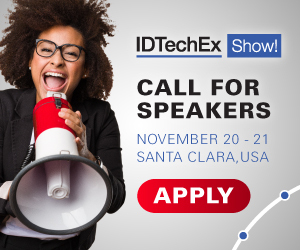 IDTechEx has invited a series of industrial players and leaders active in graphene commercialization to contribute their opinions about the state of the technology and markets. As part of article series, we will today hear from PPG Industries who write about their bottom-up production process and their commercialization progress. To contact PPG Industries directly please contact the author Dr Noel Vanier on vanier@ppg.com. To learn more about the graphene markets please refer to our report on Graphene, 2D Materials, and Carbon Nanotubes 2017-2027: Markets, Technologies, and Opportunities. You can also meet with many industry leaders at our business-focused event Graphene Europe 2017 taking place on May 10th and 11th in Berlin, Germany. The promise of graphene to deliver useful applications has tantalized scientists ever since its outstanding properties were discovered by Novoselov and Geim1. To meet performance requirements, graphene applications generally require one of two forms of graphene: large, continuous sheets or small, dispersible flakes. Large sheets are typically manufactured by growing a graphene layer via chemical vapor deposition-type processes on substrates such as copper. Potential applications for sheets include transparent conductive layers, electronic devices and filtration membranes. In this article, we focus on manufacturing and applications of small dispersible flakes (graphene nanoplatelets - GNPs). Exfoliation of graphite by mechanical sheer in a stabilizing medium such as a solvent or surfactant - produces a very broadly distributed number of layers, but can yield few-layer graphene (<10 layers) and even some single- and bi-layer graphene. GNPs produced by this method are flat platelets and essentially defect-free, but their purity is limited by the graphite source. Recently, PPG2 and Raymor3 commercialized a bottom-up process for making GNPs from methane feedstock. Methane is converted to pristine few-layer GNPs directly without a substrate or catalyst in a continuous, single-step thermal plasma process that yields a unique, few-layer, crumpled morphology (Figure 1). These "PureWave" plasma GNP particles are small (~150 nm) with a relatively narrow size distribution. Their non-planar morphology imparts the particles with a comparatively weak tendency to aggregate relative to planar exfoliated GNPs, giving them excellent dispersiblity in solvents and polymer matrices. This characteristic, coupled with their excellent electrical conductivity, makes PureWave graphene especially effective in conductive composites, coatings, inks and energy storage devices such as lithium ion battery anodes, cathodes and in supercapacitors. Specific applications of graphene are best served by specific types of GNPs. For example, large, flat flakes likely function better in barrier coatings, while highly-functionalized GNPs may be advantageous in aqueous systems such as biochemical applications. Because of their crumpled 3D morphology and their pristine, few layer, turbostratic structure (Figure 2), plasma GNPs are excellent at forming conductive networks. Adjacent carbon layers in turbostratic graphene are rotated relative to each other, effectively decoupling their electronic states and preserving single-layer graphene properties such as ballistic electron transport and a single Lorentzian 2D Raman peak4. In several important polymeric matrices, and even in solvent, PureWave graphene gives conductive formulations at lower concentrations than exfoliated GNPs. Substantial synergistic boosts to conductivity are obtained by formulating materials with both PureWave GNPs and larger, planar, exfoliated GNPs, indicating that the smaller particles are very effective at electrically connecting the larger particles. Highly-conductive coatings and inks have been formulated with mixtures of larger GNP flakes with PureWave GNPs while maintaining physical performance with adequate polymer concentrations (Figure 3). Plasma GNPs are especially effective as the conductive component in cathode and anode coatings for batteries. In supercapacitors, plasma GNPs enhance the performance of activated carbon particles by increasing the conductivity of the coating formulation in addition to providing 400 m2/g of surface area. To capitalize on these performance benefits, graphene manufacturing costs will be critical. Fortunately, the raw materials graphite and methane (natural gas) are inexpensive carbon sources. Both top-down and bottom-up products are potentially low cost, with expense being introduced by the processing. Top-down approaches are typically batch processes requiring several liquid dispersion steps and purification, resulting in product variability and significant volumes of waste. Bottom-up plasma synthesis is a single-step, continuous process with useful hydrogen as the by-product. Although equipment and energy costs are significant for the plasma process, costs will be quite competitive as volumes increase. There will be commercial viability for many types of GNPs, just as there is for many varieties of carbon black. Our approach is to focus on applications where PureWave GNPs add performance value over other GNPs and carbons. The key to commercial success for GNPs in any application is the value delivered: the advantage realized in the application must be worth the cost of the GNPs required. Our evaluations, in conjunction with our partners, indicate future commercial opportunities with substantial volumes for PureWave plasma GNPs. 1. Novoselov, K.S. et al. Electric field effect in atomically thin carbon films. Science 306, 666-669 (2004). 2. Vanier, N.R. et al. Low Cost Plasma Synthesis of Graphene Nanoplatelets from Methane. GrapheneLive 2013, IDTechEx, Santa Clara, and Optical Properties of Plasma Produced Graphene Nanoplatelets and Electrical Conductivity Applications. GrapheneLive 2014, IDTechEx, Santa Clara. 3. Kroeger, J. et al. Flat or Crumpled? Graphene for Energy Storage. GrapheneLive 2016, IDTechEx, Santa Clara. 4. Garlow, J.A. et al. Large-Area Growth of Turbostratic Graphene on Ni(111) via Physical Vapor Deposition. Sci. Rep. 6, 19804; 10.1038/srep19804 (2016). 5. The CVD spectrum stems from the group of Prof. Richard Martel at Université de Montréal.